From our fixed pricing to our award-winning customer service, it's easy to notice the Upline Moving difference. Whether you’re moving down the street or across the country, the Bay Area professional movers’ custom moving packages and award-winning service will ensure a hassle-free relocation. Upline Moving goes the extra mile to deliver on every promise from our guaranteed pricing to our on-time delivery. We’ll change the way you feel about working with a professional moving company, but don’t take our word for it. Take a minute to browse the many positive reviews left by past customers—70% of whom became repeat customers. When you hire Upline Moving, you can count on us to take care of the heavy lifting so your move doesn’t have to be overwhelming. Our attention to detail and attentive customer service has earned us accreditation with the Better Business Bureau, ProMover status, Angie’s List “Super Service Award,” and other accolades. We were also named “Best Mover for 2017” by San Francisco Magazine. If you’ve ever completed a DIY move or hired movers that didn’t meet your expectations, see the difference a top-rated professional moving company can make! When planning a move, some people don’t even contact a professional moving company because they assume it will be too expensive. That might be the case with some residential movers—but not with Upline Moving! Custom Moving Packages: Every home is different, so we don’t offer one-size-fits-all moving packages. Instead, we create custom moving plans based on your needs and your budget. 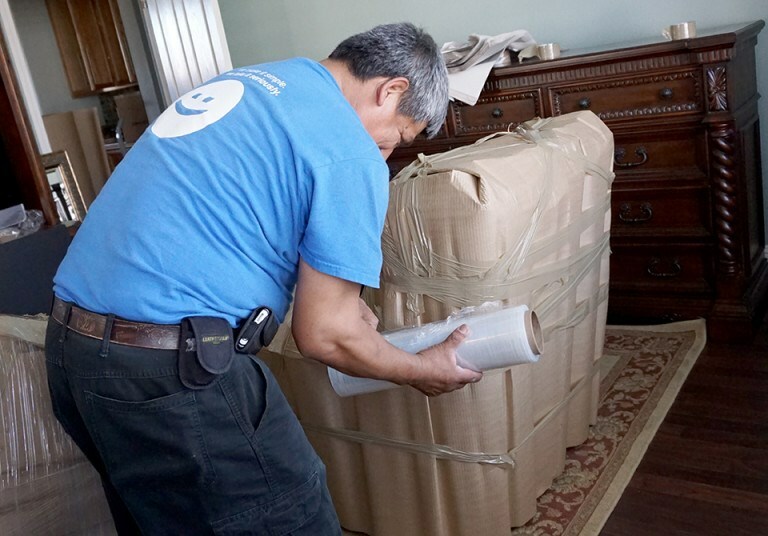 Gentle Handling: Our residential movers treat your belongings as carefully as they would their own. From your grandmother’s china to your baby grand piano, all the things you love most are in safe hands with us. Storage Solutions: Upline Moving’s customers enjoy 30 days of free storage, and we also offer short-term and long-term storage in our secure facility. Impressively Low Damage Rate: Upline Moving has one of the lowest damage rates in the moving industry. We’re proud of this record and peace of mind it provides our customers. You don’t have to settle for moving services that don’t meet your needs. Instead, contact our top-rated residential movers and experience the Upline Moving difference. We value our customers, and that shows in everything we do from the free estimate until the last piece of furniture is set in place. Call Upline Moving today or fill out our online form now to schedule your no-obligation moving quote.